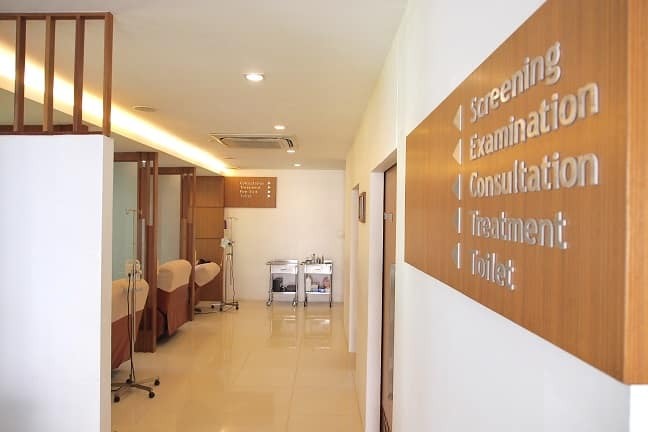 Chiang Mai city, or more specifically the modern Nimmanhaemin area, has got it’s own full service integrative clinic to offer same set of treatments that were previously available only in Bangkok and in some remotely located resorts like Tao Garden. 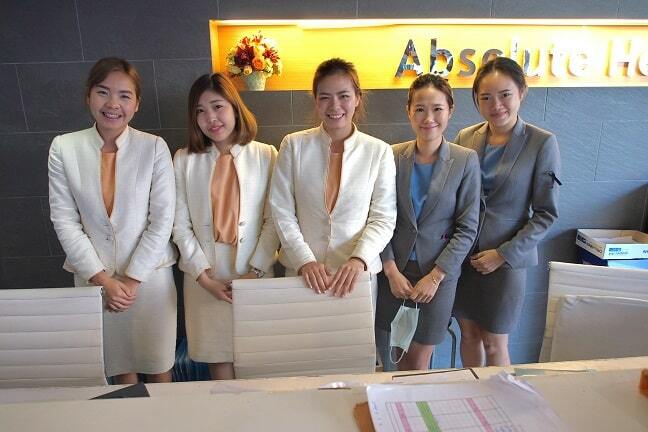 Absolute Health has it’s headquarters in Bangkok, but since 2013 have had a branch in Chiang Mai as well to serve the growing medical tourism in Thailand. Other branches are in Pattaya and Khon Kaen. 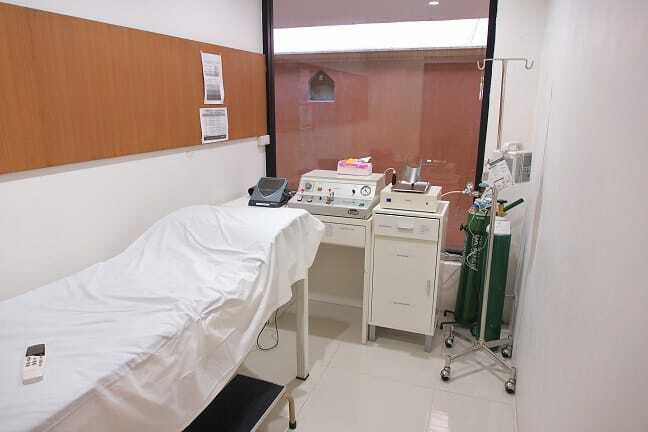 Previously there was only Balavi Natural Health Center that was offering something similar, but more holistic and natural approach, while Absolute Health is trying to offer the most top notch biohacking modalities, but without such large facilities and pool. 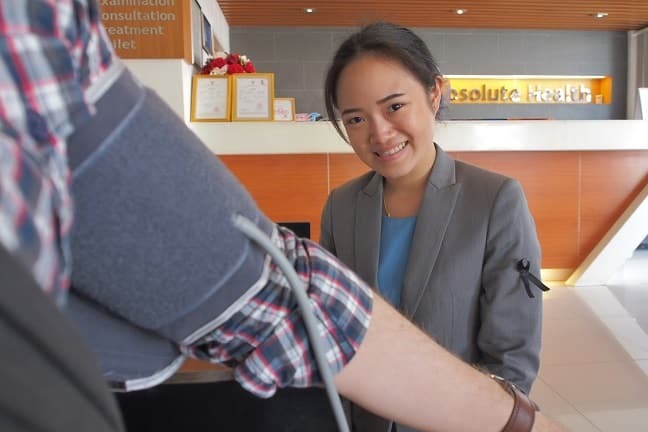 On my latest travels over the winter season 2016-2017 I spent few weeks in Chiang Mai again and after some persistent attempts to find out whether they would like to be featured on my site I got a pass from one of their head doctors in Bangkok, Dr.Jay. I was offered a discount in SCIO scanning to see how they perform in that regard, but they can provide almost every modern integrative treatment from stem-cell therapy and EDTA chelation to hormone panels and nutraceutical drips. 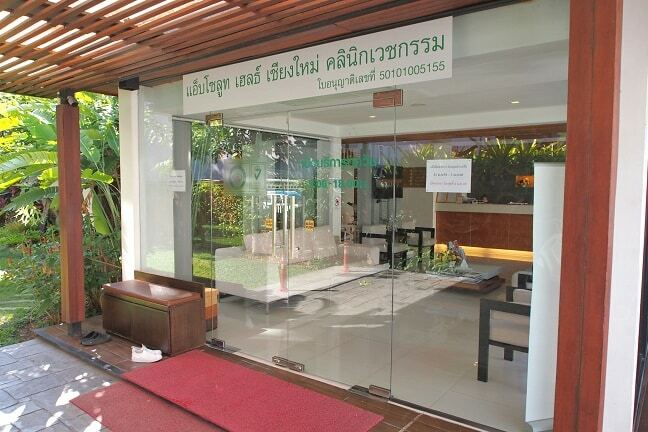 I saw one “farang” osteopath as well. Regarding oxygen therapies, they have German made Herrmann Hyper Medozon comfort machine, but they can not provide OHT ozone therapy yet. Instead major autohemotherapy is available and “H.O.T”, confusing I know, that stands for Hematogenous Oxidation Therapy which is similar to UVBI therapy. That combines the benefit of blood irradiation with UV light to oxidation with pure oxygen and ozone. For some reason there is not much information of that modality available in English as it’s not practiced that much in English speaking countries I guess. Or it’s just name play, UVBI gives more search results, but as far as I understood it doesn’t involve oxygen or ozone. And what was really unique that I haven’t seen anywhere else yet was they also can provide simple hydrogen peroxide IV drips for those who have strong veins enough to tolerate it. Their website has more complete list of everything that is available. Songthaew from Somphet market takes about 15 minutes and it costs around 40 bahts(ca. 1usd). Be warned that nowadays even Chiang Mai gets traffic jam along the road between Moon Muang and Nimmanhaemin road. In the late afternoon same trip can take 30 minutes especially if there are many people and stops on the way. Private taxi is more convenient and provides air-condition that helps to protect against pollution at peak hours. The clinic is run in five star manner where shoes must to be left outside and you are given indoor slippers and drinking water is served in glass covered with cellophane straw being stuck through it. 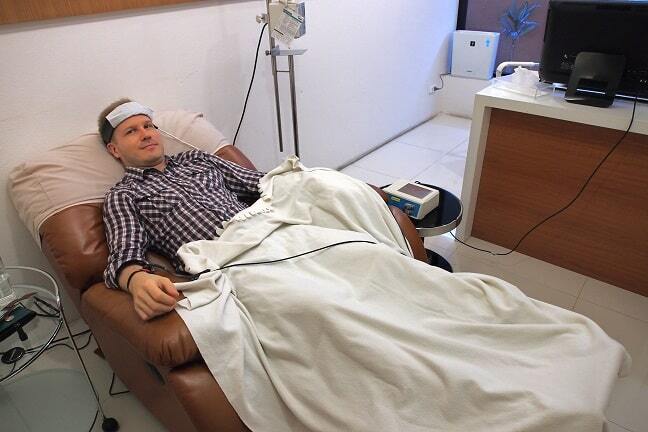 For the beginning I filled up a consultation card before starting the treatment. There was the usual questions of whether you have had any problems recently or if you have any congenital diseases etc. Soon after that I was led into a room to take comfortable position in the big sofa chair. This was my second time trying out SCIO scan, first time being at the Dr.Lim in Philippines. One of the nurses set the system I was left alone while it ran through it’s programs. It took about 40 minutes. This is the most usual starting point for every new client who wants to get rough overall image of their condition and then continue to blood tests to verify if abnormalities are found. And finally to determine treatment protocol utilizing the wide scale of tools available. After the session was over my scanning results were given to the doctor and I was asked to wait a little while before my consultation with him so he could go through and interpret them for me. Meanwhile I had a little chat with a monk called Variz who had come to receive chelation drip in exchange for teaching the staff about Buddhist dharma and morals. He had been as a monk for 11 years and was living in a monastery some distance from the center of Chiang Mai. Unfortunately he didn’t want to be interviewed on video or even pose for a still image, but he was happy of the service he had received. Such collaboration tells something about the integrity of their practice. 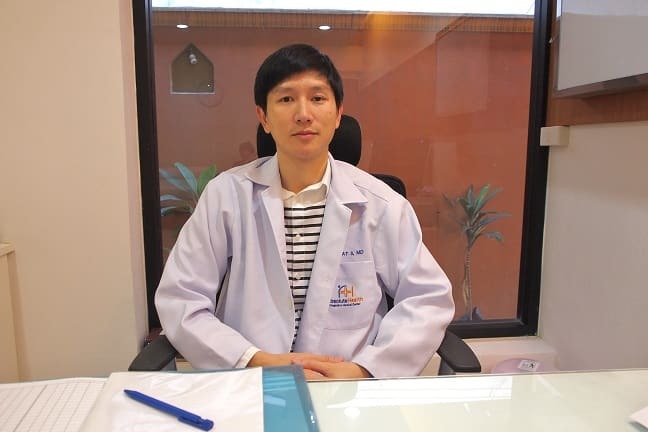 I was set appointment with Doctor Wittawat Sithiwatcharapong who had graduated from the faculty of Medicine in Chiang Mai University and afterwards had included some additional courses in integrative medicine to his CV in Bangkok. He was fluent enough in English too. My scanning results were more impressive in their accuracy than at my previous trial back in Philippines some years ago. The system was much better set and for instance it came up with some heart issues that were obviously related to my dump phase on Cutler’s mercury detox protocol that I have been on. Reason for it is to clear the pituitary gland that was obviously subject to mercury poisoning that I wrote about in my introduction. After about 6-7 month on the protocol I expectedly reach into that phase which is part of the detox process that may take two to three or even four years in total to be completely clear. The dump phase should not last longer than three months. One of my symptoms was occasional arrhythmia(though it later subsided). I did not say anything about that before the scanning so it was genuine outcome and not a result of manual input to the program. 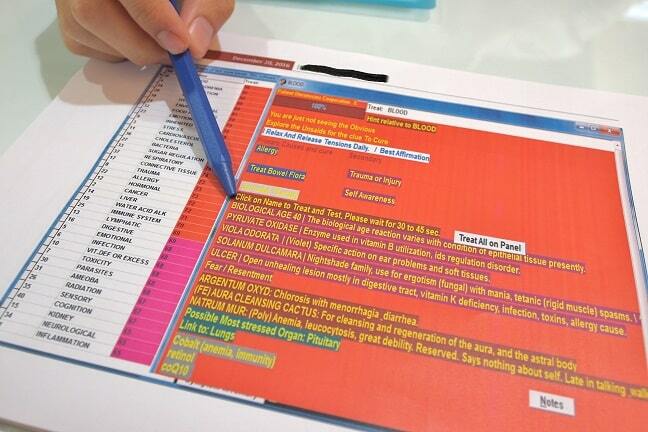 Some critics claim that manual input of health details being the reason for surprisingly accurate readings. It also indicated pituitary gland being the most stressed organ in the body that fits very well to the mercury issue. Another finding that was very well in line with my condition, and came up with possible name for it, was that I may have a leaky gut. That would explain the occasional irritation I have felt on some foods after getting rid of the parasites I had few years ago. Ascaris lumbricoides can damage gut lining which in turn may result increased intestinal permeability aka leaky gut. That is condition where some undigested proteins enter blood stream and cause infectious reactions. I was happy about finding out my current state and one more confirmation again to previous indication of the root cause to my adrenal crash and sleeping problems. I continued using B-complex which was recommended. 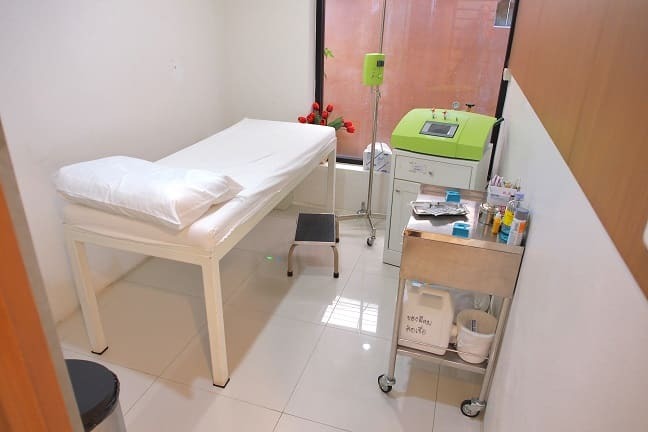 There are too many modalities available to list all of their prices here, but for instance 10 session package of EDTA chelation comes at 48 000 THB(4800 each), and HOT ozone/UVBI therapy and autohemotherapy is around 6000 THB per session. Maybe you can try to bargain if taking as package. As with some other places in Thailand it can be a challenge to be understood and receive proper responses via e-mail. With Absolute Health it took me several weeks to confirm what they do with the Herrmann ozone generator because I forgot to ask once I was there. 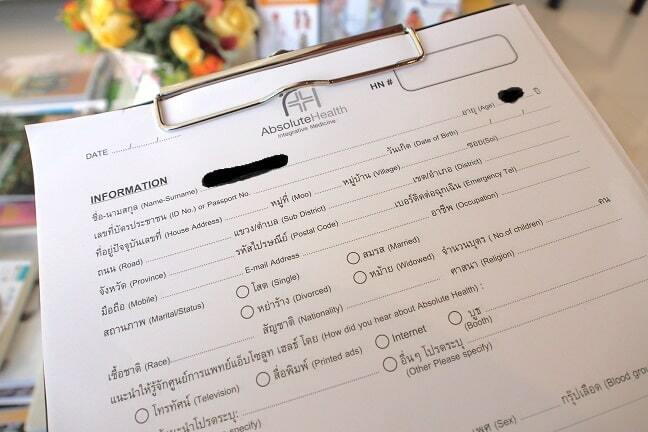 If you are already in Chiang Mai or any of the other destinations they have branches and can walk in and squeeze out all information face to face, then they are worth consideration if you can not take a risk and come over without knowing much details beforehand. Or you may need to make a phone call with all of it’s costs and risk of misunderstanding. 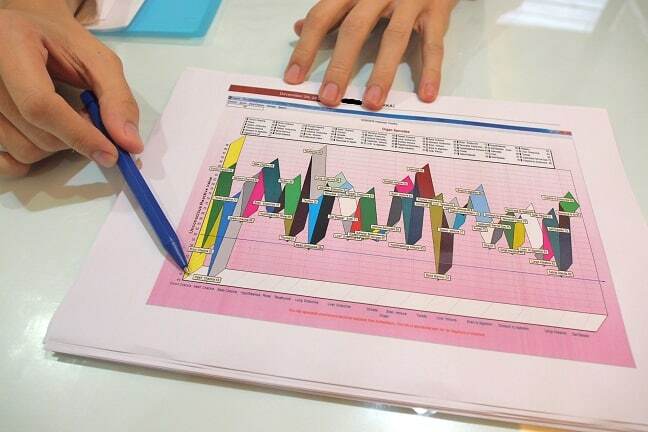 In spite of many advantages those are some of the main concerns that may hinder the growth of medical tourism in Thailand. 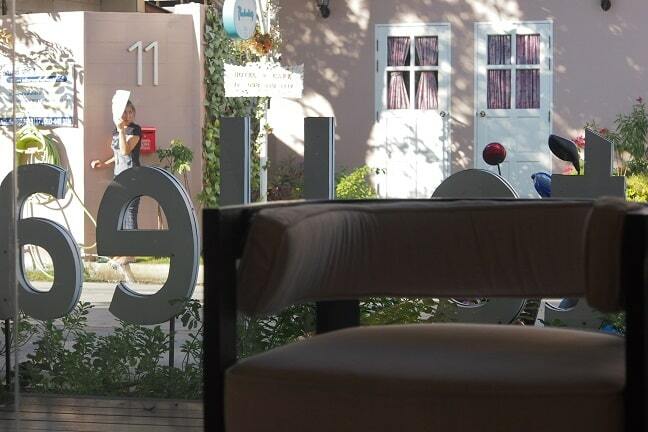 If you have a generous budget and want to avoid travelling from the old city area to Nimmanhaemin and back, you may want to stay just opposite of the street at Pemberley House boutique hotel. It has European style design and spacey rooms, and of course super location. There are some other budget places at Nimmanhaemin too. See Food and Shelter article for more information on accommodation etc. Address: 8/1 Nimmanhaemin Soi 7, Suthep District, Amphur Muang, Chiang Mai Province 50200 Thailand.